As a 15 year old, I was concerned about social justice; my politics were left wing; Harold Wilson was my hero; Labour was the party I supported. When I got religion, I was told by my spiritual mentors politics were a murky business and a distraction, and were NOT the sort of thing good Christians should be involved in. I took a step back and have not been active in any party since. My sympathies continued to be with Labour for a while before disillusionment set it. Besides seeing socialism as a failed experiment, I saw things like the rule of law as being important and the Conservatives were better at it. For the years between my early twenties until now I was around the centre politically and have not joined any of the political parties. My politics remain middle of the road., although I can be left or right leaning depending on the issues. Matters like having a fair welfare system, tackling homelessness, protecting the NHS still concern me, so when people read about me being pro-Trump, sympathetic to Tommy Robinson and wanting a tighter control on Muslim immigration, and accuse me of being far right, I can turn round and say, although I no longer subscribe to Marxist ideas of the main issue being capitalists exploiting the working classes as I once did, there are some aspects where I might be accused of being far left. The dilemma I face is that there is no political party that appeals to me, ideologically or practically, and all of them I find quite depressing. 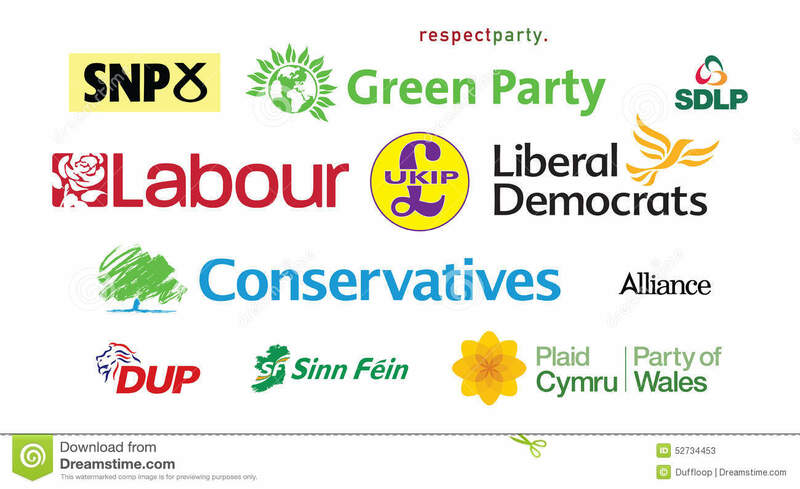 I will give a brief overview why but confine my comments to the top five parties active in England. I vote for the person who I think we do most good, and believe many candidates are well intentioned even when I have misgivings about their party. I see a hapless Conservative government about to sell the country out over Brexit. Even if I were to put Brexit to one side, I am unconvinced they are on the right path on matters like the NHS and welfare reform, and as a homeless activist I look with consternation on the worsening homeless situation. While Theresa May might have lost the plot, I am not a Boris fan, for I see a party sharply divided. I am not convinced by Labour and even less a Labour government under Jeremy Corbyn, due to his doctrinaire socialism that I see as a bad thing overall, all of which fills me with foreboding. While I take recent criticism by Tony Blair with a pinch of salt, the ‘good guys’ like Frank Field recently being pushed aside or out I find concerning. LibDems are trying to occupy the middle ground, understandably, but unless something sensational happens they will be in my eyes the neither here nor there party. The Greens have good ideas but I don’t see them as being fully rounded and when it comes to three issues I care most about: abortion, traditional marriage and religious freedom, I suspect overall they do not get it. I would like to give UKIP another look. Having lost their way post EU Referendum, they rightly see a gap that needs to address the hopes of libertarian, anti-globalist, national identity types like me. The rise of popularism in Europe continues and it is for a good reason they cannot be ignored. The most recent example is the Swedish election which gave support to the “far right”, because of concerns over Muslim immigration, among other things. The rather unsavory debate in UKIP whether to allow Tommy Robinson to join on not, weighing whether gaining working class support will be offset by becoming further isolated them from their core supporters if they allow him in, is a matter of concern. It seems to me that there is a vacuum in British politics: progressive, middle ground and popularist causes, that needs to be filled. Whether the parties above or a re-alignment of them will do this, remains to be seen, as does whether the polarisation we now see will give rise to extremism. As thing stand, I cannot support the two main parties or the three contending outsiders. Yet there is a place for good people to enter politics, because the decisions politicians make can significantly affect the lives of all of us, so having good people involved in making those decisions has to be desirable. As a community activist, I recognize not only the need to encourage the next generation to become active in their communities but also to be politically active out of a desire to serve their communities. To give a simple example of why I believe this to be so, while in my own field of homelessness I can see many ways we can make a difference, I can see an even greater difference made if there is more affordable accommodation or better support services, something politicians have a power to deliver in way that is often not possible with grass roots activists. I will continue to watch political developments with interest. It is unlikely I will become politically active other than speak out on the issues of the day and encourage the “good guys” who are or wish to be involved. While I lament the lack of hope on the political horizon at this time, I am not in despair. The need of the hour is a change in the hearts of the people which comes about from the gospel I preach; not by any political ideology or charismatic personality.